When disaster strikes, you always have two options: bug in at home and wait out the disaster, or load up your vehicle and bug out. When people think of prepping, many of them think about bugging out and meeting up with loved ones in a secret location, mainly because that’s what we commonly see in disaster movies and TV shows. 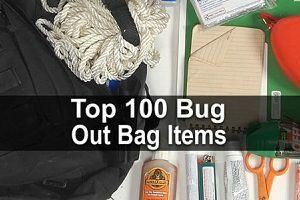 But here’s the truth: in the majority of circumstances, bugging out is not only far more dangerous than bugging in, it will likely get you and your family killed. Now are there exceptions? Sure. If a volcano a few miles away has just erupted and your home is in the path of the lava flow, obviously you will have no choice but to leave your home. The point is that bugging out should be a last resort, not something you do at the first sign of trouble. If you’re not convinced, here are seven reasons why bugging out could get you killed. If you do decide to bug out, then you better have a good strategy in place. You need multiple routes to your bug out location and multiple bug out locations in case one becomes blocked or is already taken. You also need plenty of gasoline and spare tires with your bug out vehicle, not to mention a lot of supplies. 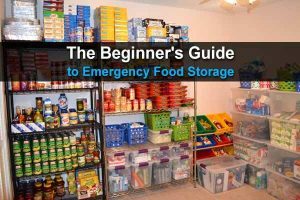 Unfortunately, many preppers haven’t invested time into this part of bugging out. They haven’t figured out where Point A and Point B are or where backup Point A and Point B are. They think all they have to do is load up their car and drive to their secret camp out location. Not so fast. Even if bugging out in haste with no strategy doesn’t get you killed early on, it will at least make you a refugee. Are you prepared to evacuate your bug out vehicle and trek for long distances over mountains with a heavy backpack? Even if you are, what about the members of your family or group? 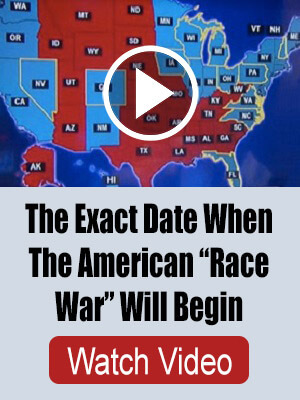 Are they physically prepared for that? Obviously you could take ten mile hikes with heavy backpacks on the weekends to prepare yourself for it, but what if you or anyone else has severe health issues that would impede bugging out? Think this through clearly, and get in shape. The mindset that you can outlast the disaster all on your own could be fatal. And it doesn’t just apply to sole individuals; it applies to families who think they can make it on their own as well. Just as we all need one another in the everyday world, we will also need one another in the post-disaster world. If you bug out, you and your family will literally be stuck in the middle of nowhere alone. But if you bug in, you can join forces with your neighbors and exchange manpower and resources to help one another and keep your area protected and safe from things like angry mobs. When disaster strikes, you may not even make it to your bug out location to begin with. Why? The roads are going to become clogged and potentially even shut down due to traffic. And when you’re stuck in thick traffic, what does this mean? It means you’re exposed out in the open with very limited means to protect yourself. Desperate looters and raiders will rob those they see as vulnerable, and they’ll kill you if necessary. Contrast this with bugging in, where you can fortify your home and forge alliances with neighbors to defend your area against mobs and looters. Many people who bug out believe they’ll be able to sustain themselves by living off the land. This is a major assumption that you cannot take for granted. The reason is because the land will already be picked clean of game and edible plants. Thousands if not millions of other people are also going to be bugging out across the nation, all thinking that they can live off of land, which means the wild game population will drop significantly. The beauty of bugging in is that all your stockpiles are right there when you need them. But if you bug out, you can only take a limited number of your supplies with you, and they will dwindle fast once you realize you can’t live off the land. Sure, you may have a second goldmine of survival supplies at your bug out location, but you might not even make it there, or the place might already have been looted before you get there. The other beauty of bugging in is that you know the area. You know the people, the land, the resources, the evacuation routes, and so forth. When you bug out, you will likely know little to nothing about the area. This means that when you need to evacuate, you might end up getting lost. And when your supplies run out, you probably won’t know where to find resources. You also won’t know whether you can trust the people you come across. As you can see, bugging out comes with a large number of risks. But like I touched on in the intro, there are certain disaster circumstances where bugging out literally will be your only chance of survival. So don’t treat bugging out as a no-go in all situations. Ultimately, when it comes down to it, you have to the make the decision you think will be safest for you and your family. Just know that in the vast majority of disaster scenarios, bugging out is going to be the far riskier option.